The accommodation offered by Gate is simple yet elegant with a modern kitchen. All apartments boast a seating area, radio, telephone and a private toilet. The immediate area of the hotel boasts a supermarket, several restaurants and pubs. The Central Market is within 1.2 km, and the central bus station is 1.1 km from the Gate Apartments. This sunny 4th floor apartment comes with a fully equipped kitchen complete with a dining area and a bathroom with a shower. Located at 10 Vaļņu Street. A very quiet, seventh floor apartment featuring modern, design furniture. 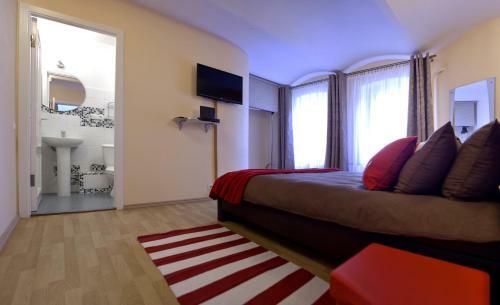 It comes with a fully equipped kitchen, two flat-screen TVs and a spacious bathroom with heated floors and a shower. Located at 10 Smilsu street. 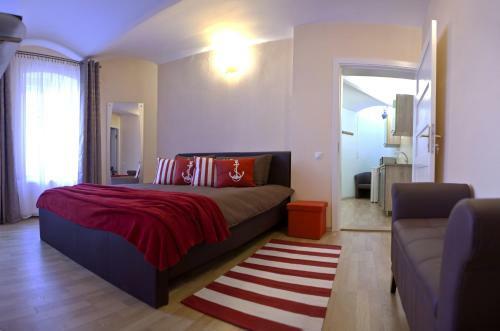 This modern two bedroom apartment is situated on 1st floor right above a boutique shop. It offers a street view. 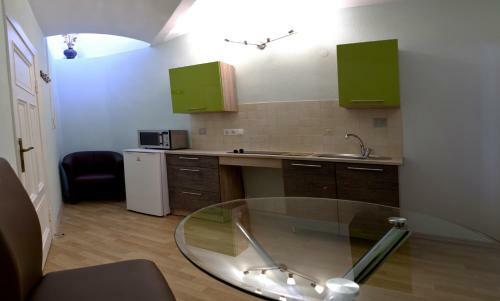 Apartment has fully equipped kitchen with dining area and bathroom with shower. Located at Vaļņu street 10.